The firm is supported by a cohesive team of professionally qualified and highly experienced accountants and administration executives. Willie is the managing director with well over 30 years experience in the areas of assurance and advisory. He has been a member of CPA Australia since 1974. Prior to joining the firm in 1978, Willie worked in a large international firm of Certified Public Accountants for a number of years. Willie’s duties include investigation, financial management and human resource. 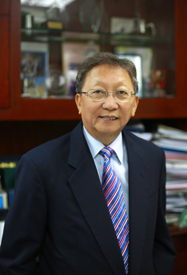 Besides having served in the Members’ Welfare Committee and Public Accounting Practice Committee of the Institute of Certified Public Accountants of Singapore, Willie’s other voluntary public services included serving as Captain of the Warren Golf and Country Club from 2001 to 2005. Andrew heads the assurance services division of the firm and is in charge of all attestation and assurance services. Andrew started his employment in the firm as an assurance assistant straight after graduating from The University of Newcastle, Australia in 1996. Andrew has undertaken various assurance assignments including those companies listed on the Singapore Exchange. He has also led teams in assurance engagements in countries such as Indonesia, Australia and Switzerland. Outside of work, Andrew continues to be an avid sportsperson. He plays badminton competitively and represents Punggol Central CC for inter-constituency competitions. His other indulgence at the moment is his love for the game of golf. 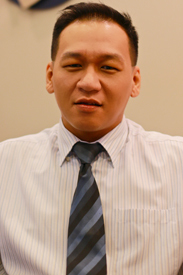 Lawrence graduated from ACCA and has more than six years experience with one of the “Big Four” accounting firms in the area of taxation. 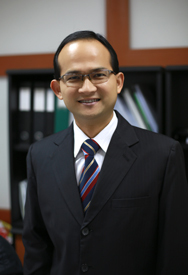 Prior to joining the firm, Lawrence was employed in the tax department of one of Singapore’s leading property developers. Lawrence heads the tax department of the firm and with his in-depth knowledge in this field is well-qualified to extend advisory and compliance services to clients. 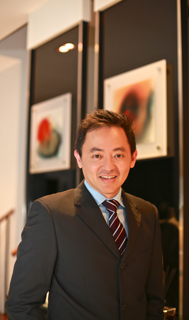 His portfolio of clients include prominent restaurateurs listed on the Singapore Exchange as well as established MNCs. Lawrence participates in a diversity of sports from badminton to tennis to golf and has participated in CPA games. 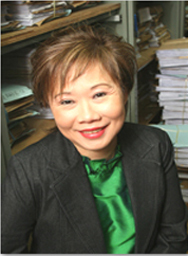 June attended Dacomb College in Australia and gained a Diploma in Secretarial & Office Administration. Returning to Singapore after her graduation, she started her career with Cathay Organisation and quickly worked her way up to the role of Personal Assistant to Executive Director & Chairman, a position which she held then for about 10 years. June then took a career break to raise her two children and returned to work as Office Administration Manager in October 2003. Dennis is a member of ISCA and ACCA with extensive experience in assurance services. Prior to joining the firm, Dennis was in the Assurance division of one of the "Big Four" accounting firms. 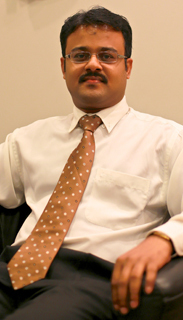 His experience includes providing assurance services to the companies listed on the SGX across various industries. He has also undertaken several overseas assignments in China, Hong Kong, Vietnam and Australia. Tanggarajoo (or more often referred to as “Rajoo”) has more than 10 years of assurance services experience, having started employment in a local accounting firm in 2001. He joined the firm in 2006 as an assurance senior and was duly promoted to an assurance manager in 2011. During his time with the firm, Rajoo was involved in various assurance assignments of group companies with diverse industries. Rajoo graduated from the University of East London (UK) with an Honours degree in Accounting and Finance. Rajoo is currently pursuing a professional accreditation with CPA Australia. Rajoo is an avid chess player and was a member of the chess club whilst pursuing his accounting degree. His other sporting interests includes badminton and pools.